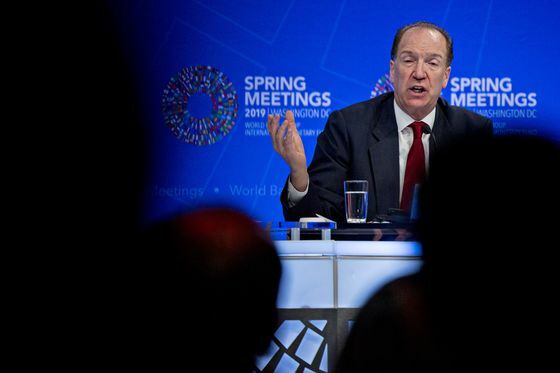 New World Bank President David Malpass said he’ll pursue a “constructive” relationship with China as the development lender reduces funding to the world’s second-largest economy. Malpass said he agreed in a meeting with Chinese President Xi Jinping to work more closely together on the bank’s development agenda. He was speaking at an opening press conference on Thursday for the IMF and World Bank’s semi-annual meetings in Washington. As a senior Treasury official in the Trump administration, Malpass had been critical of China’s borrowing from the World Bank, and called for China to be more transparent about its multi-billion lending programs with poor nations. Since his nomination by Trump as World Bank president, and formal approval last week, Malpass has adopted a gentler tone. He says his goal is to ramp up the bank’s anti-poverty mission and climate-change programs. World Bank loans to China are already falling, to $1.8 billion in the year through June 30 from $2.4 billion the previous year. Some observers have warned that slashing credit to China could have unintended consequences for the World Bank’s efforts to combat global problems such as climate change -- and could leave the bank on the outside looking in, without influence over such major Beijing initiatives as Belt and Road. If they still get loans, it should be to finance “global public goods” that markets can’t provide, according to the plan. The idea is that World Bank capital could be harnessed to fight problems that transcend borders, such as global warming.